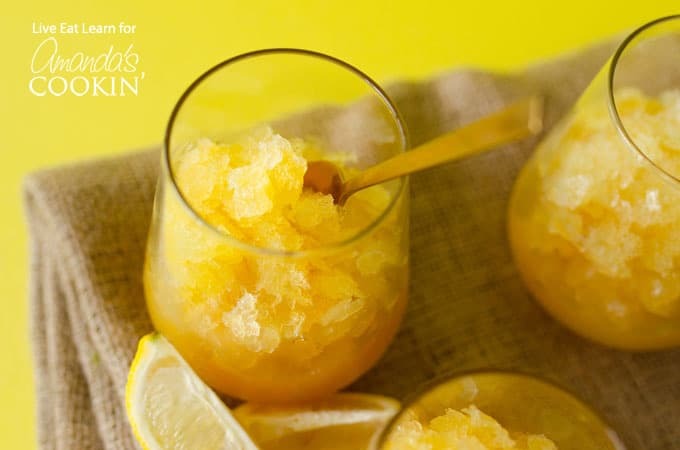 Bourbon Slush: a delicious summer drink, perfect for BBQ's and parties! This Easy Bourbon Slush has just 5 ingredients and comes together in minutes! Just mix it, freeze it, and forget it until you’re ready to scoop out some serious yums. Perfect for hot summer days, this Bourbon Slush recipe is great for parties and gatherings. For a kid-friendly summer drink try this Honeydew Lemon Slush! Growing up in Alaska meant we did a lot of things…differently. Plugging the car in overnight to prevent it from freezing, putting boots and a jacket on the family dog for each walk, and using our back porch as a walk-in freezer. And the one thing that you could always count on to be stocked in our Alaskan-style walk-in freezer? 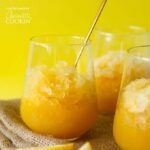 This Easy Bourbon Slush. 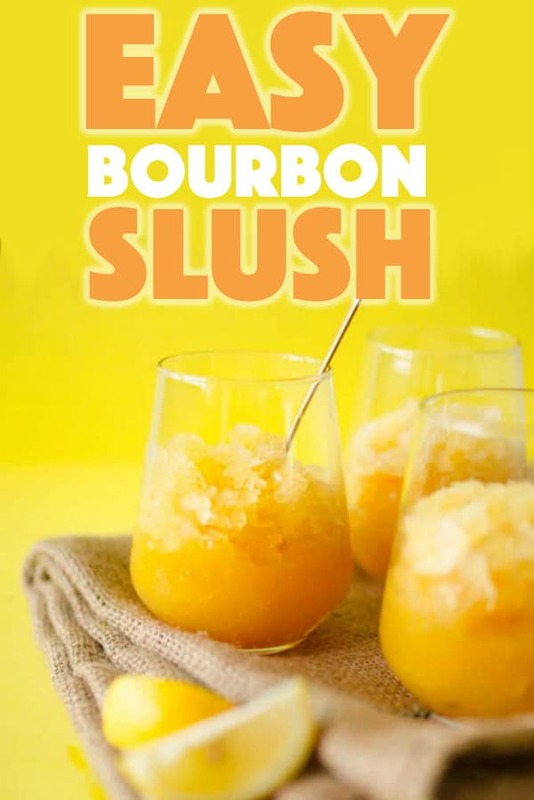 My parents would find any occasion to break out the bourbon slush, and as a kid, I never quite understood what all the fuss was about. But now that I’m older and have tried this stuff…I understand what the fuss is about. All the fuss. And when I say this Bourbon Slush recipe is easy, I mean easy. You’ll basically just dissolve the sugar in your hot tea, allowing the tea to steep and sugar to dissolve until cooled. Then simply mix everything together, throw into a large pan or freezer-safe Ziploc bag, and forget about it! The bourbon will prevent the mixture from freezing solid, keeping it a perfect slushy texture until you’re ready to indulge in it. Looking for more awesome party drinks? Try this Pina Colada Recipe, the perfect refresher on a hot summer day. This Pina Colada recipe will make you want to kick off your shoes and relax! For a crowd setting or for bringing to a Fourth of July party, Memorial Day cookout or for BBQ/potlucks, these Watermelon Jello Shots are a fun adults-only option. See how you can make these jello shots two different ways, both of which are shaped as a watermelon! What better time than summer to enjoy a big tall glass of Strawberry Lemonade? A super easy and kid-friendly summer drink that the whole family will love! This Easy Bourbon Slush has just 5 ingredients and comes together in minutes! 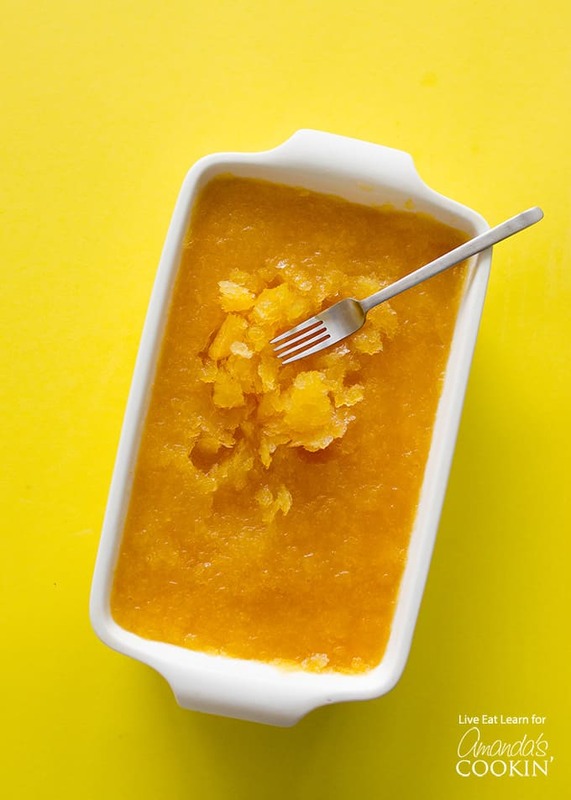 Just mix it, freeze it, and forget it until you’re ready to scoop out some serious yums. Heat water to boiling, then remove from heat and add the sachet of tea. Allow tea to steep for 5 minutes then remove. Stir in sugar until mostly dissolved. Add orange juice, lemonade, and bourbon, stirring to incorporate everything. Pour into a large container or large ziploc bag. Freeze for at least 8 hours, or until slushy. 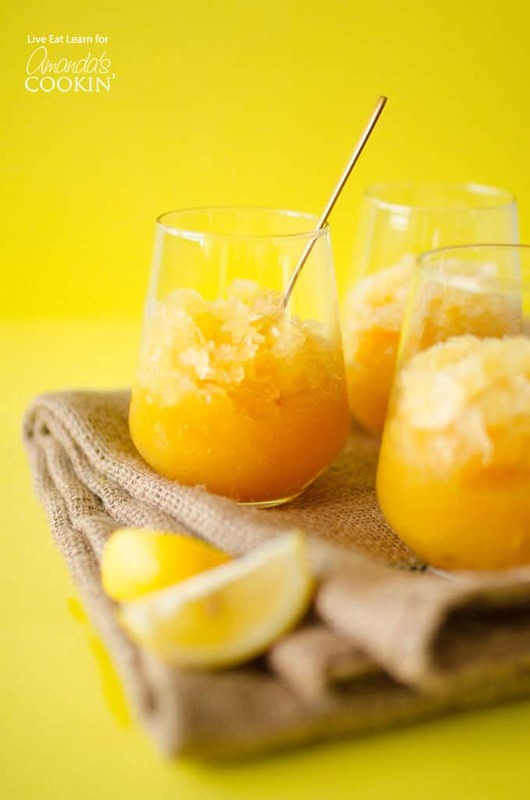 To serve, rake slush with a fork and spoon into serving glasses. Serve with a spoon and/or straw.